I think I’ll start this post off with a disclosure and a disclosure on the disclosure in the form of a confession. Confused? It all started a couple of weeks ago when, much to my surprise, I received a bottle of gin from a public relations firm representing New Amsterdam gin. So there’s the disclosure, they’re bribing me with liquor (I don’t know where they got the idea that such practices might work with cocktail bloggers). Now the confession/followup disclosure. New Amsterdam gin has been my standard gin for the last couple of years. My good friend Robert Ullrey turned me onto it a while back. B and I tried New Amsterdam side by side with a couple of London dry gins (a cocktail glass, one ice cube and gin). New Amsterdam has a slight citrus flavor and more subdued juniper notes, resulting in a gin that is less dry than the other. It’s still has enough juniper flavor and complexity to qualify as a gin, but it really seems to work well in cocktails with citrus juice. Also if you are a new to the whole gin thing, this is a good one to start with, as it is a little less brash that some other examples. The PR firm also sent me a sheet of cocktail recipes that I might want to try. The Park Avenue looked intriguing, and we’ll probably give it a whirl in the coming weeks. In the end though, we decided to go with a cocktail that fit a little more with this blog’s vintage cocktail feel and showcased the gin to nice effect. It’s also one that we have been wanting to do for a couple of years… the Twentieth Century Cocktail. According to the good Dr. Cocktail’s Vintage Spirit’s and Forgotten Cocktails, the Twentieth century was born in the 30’s after our nation’s great drought and likely named after New York Central’s 20th Century Limited train. According to Haigh, the first publication of the cocktail was in the Café Royal Cocktail Book published in 1937, the year the new “streamlined” design for the train was announced. Shake with ice in a cocktail shaker and strain into a chilled cocktail glass. Garnish with a twist of lemon. Note: If the cocktail is too pronounced, back off the créme de cocao a bit. This drink really does have that cocktail magic. 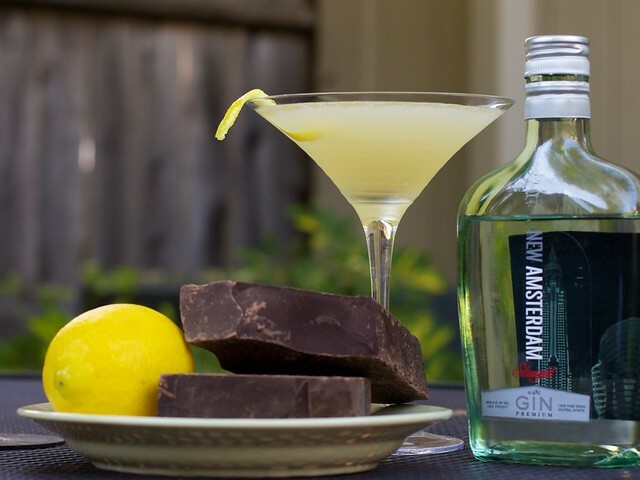 It starts out with a refreshing lemon flavor and then as this starts to fade, you get (and I quote here) “an ethereal sense of chocolate”. This cocktail is definitely one of our favorites. I think it also showcases the New Amsterdam gin to nice advantage as well. I just learned of your blog through my in-laws… I just started a food blog and they just found out that you have a blog (small world, etc.) I’ll have to dig through the archives and take notes. Great photography! We’ve also been dabbling with classic cocktails. This summer we’ve taken especially to classic martinis, and last winter to manhattans and other whiskey drinks. Off topic, but: have you ever made gomme syrup? A lot of cocktails call for it, but so far I’ve just substituted home-made simple syrup. Wow, that sounds very refreshing. 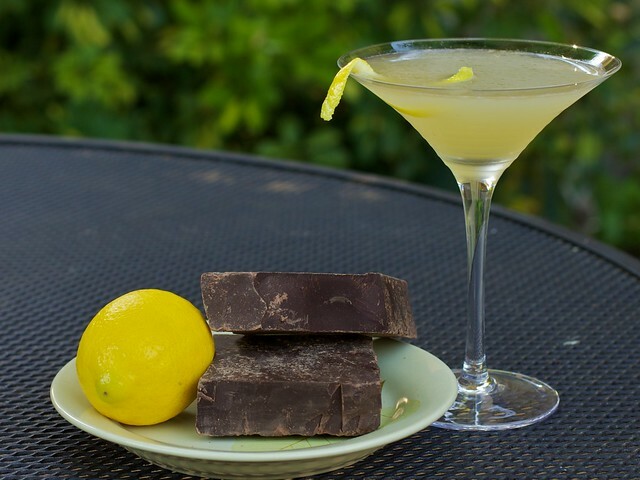 I like the lemon with the chocolate idea… make me think of dessert. Intriguing! I hope to try it soon.